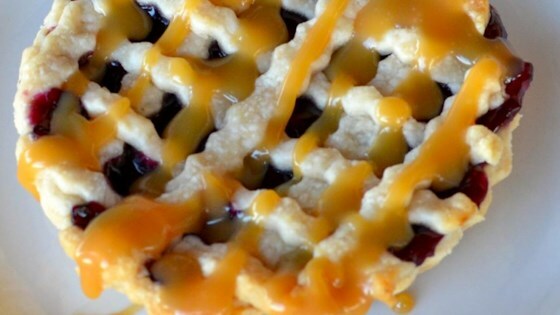 "This recipe makes a tasty, not overly sweet or starchy, blueberry pie filling." i did make major changes as i added zest of lime, brown sugar,nutmeg and allspice blueberry schnapps,rock candy syrup, disaronno to being the taste to life! I used this on a homemade cheesecake, was lovely together! So yummy! I added about 2 squirts of lemon juice in the blueberry filling, added nice a zing. Totally making this again! This was tasty! I added a dash of lemon juice and a bit more water. Tasted great on a cheesecake!